As the sun rose over Mt. Fuji in the East, the sun set in Denmark in the West. Hundreds gathered at the foot of Mt. Fuji for the East West Celebration while in Denmark, a gala was hosted at Kronberg Castle where the launch of the Transition World initiative was celebrated. 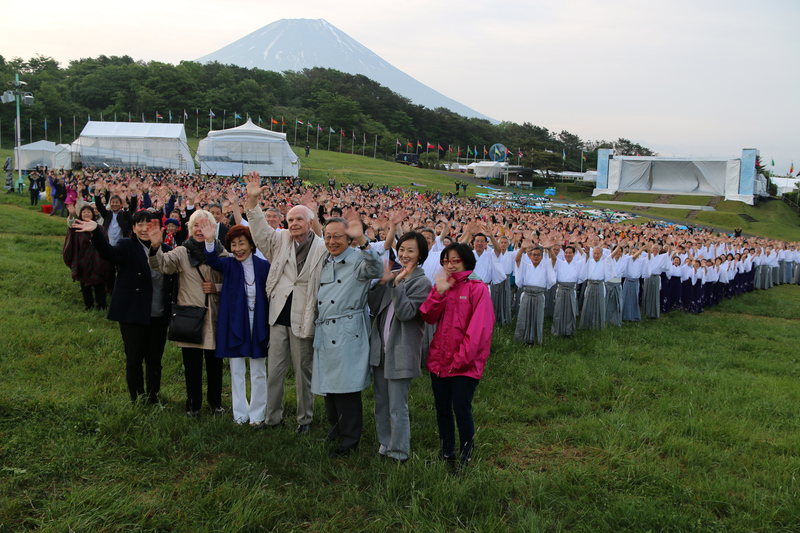 Both Fuji and Denmark merged in the spirit of oneness as two transformational global initiatives for a peaceful world was celebrated in unison. 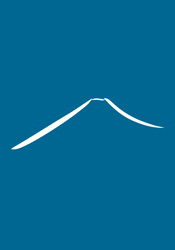 To open the the program, the three initiators of The Fuji Declaration, Masami and Hiroo Saionji and Dr. Ervin Laszlo, each offered a short message filled with renewed hope for a peaceful, harmonious and sustainable future by igniting the divine spark within humanity thus marking the dawn of a new era for humanity. Their messages were transmitted via internet and viewed by the attendants of the sunset gala in Denmark at the Kronberg Castle known for Shakespeare’s Hamlet. The initiators messages were followed by a video presentation by Sri Sri Ravi Shankar of the Art of Living Foundation who spoke about the significance of East and West celebrating oneness in the divine spark. These words set the stage for the Mudra ritual of breath, sound and movement which was performed by hundreds of people in unison at the Fuji Sanctuary after a short introduction by Yuka Saionji Deputy Chairperson of the The Fuji Sanctuary home of the Byakko Shinko Kai. 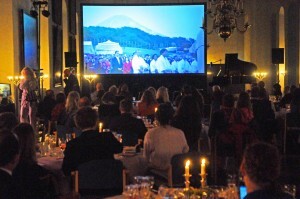 The program closed with Fuji and Denmark joining in a silent meditation for global peace and unity. The spirit of oneness with diversity felt by participants in both Fuji and Denmark was successfully transmitted to the world through the wonders of the internet. It was truly a celebration of communion between East and West along with the global community to actively engage in building a more harmonious and flourishing culture alive with the divine spark. The East West Celebration was presented in partnership between The Fuji Declaration, The Club of Budapest, Transition World and Prosperity of the Commons International.